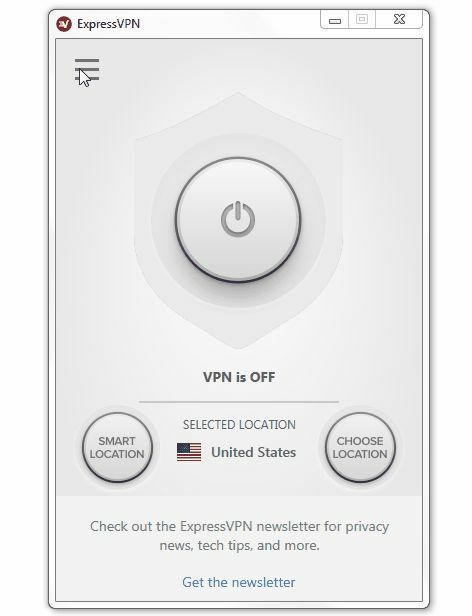 ExpressVPN is one of the most trusted services out of 51+ VPNs. They have a fantastic record for keeping your data – no logging, no leaks, making it possibly the best VPN service. They are located in the British Virgin Islands. Founded in 2009 by ExpressVPN International Ltd. Their location is a tax haven and home to many wealthy Brits. Even though it’s near America, the land doesn’t belong to the 14 Eyes jurisdiction – the government won’t share data with the members of 14 Eyes. Their service is secured by 256-bit SSL encryption. We did DNS leak tests with the available web tools to uncover any security threats. While using ExpressVPN, there were no leaks found in IPv4, IPv6, nor WebRTC addresses. This is one example of why ExpressVPN is highly respected. Our comments included correcting spelling and grammatical errors, finding clarity issues, and discussing concerns about data privacy and consumer protection. For sources we use case law (as it is available), secondary sources, and international agreements – specifically the EU General Data Protection Regulation. We use a list of necessary sections for terms of service agreements and privacy policies to determine whether all the necessary components of the policy were present. In this case we found everything in ExpressVPN’s disclosures except for a Last Updated section. This section puts the liability for mistranslations from English into any other language of the VPN software on the consumer. While not unethical, it was an odd addition owing to how easy it is to update software and remedy language errors. The arbitration clause has a few inconsistencies. First, it imposes a 1-year Statute of Limitations on claims against ExpressVPN. Limitation periods in the British Virgin Islands are: “BVI Limitation Act 1961: Contract and tort claims: six years from the date on which the cause of action accrued”. There are also some contradictory terms. For example, they offer a single remedy for arbitration in one paragraph (i.e. payment in full for services), and then offer alternative remedies in the next paragraph (i.e. attorney fees, damages). Generally, the rules in the British Virgin Islands will apply. User experience is never underestimated. We tested their desktop and mobile applications. Great VPNs are equipped with a kill-switch – a feature that automatically disconnects you from the internet. This is necessary when software might accidentally turn off due to internet performance swings, which would result in data leak. ExpressVPN has a kill-switch, which makes it safer to use. Some countries have restrictions, especially for torrenting. To avoid getting fined the VPN should support torrenting. Expressvpn works with Netflix too. Testing VPN speed below. There is a slight decrease when using the U.S server, but compared to 51 other VPN services their speed ranks the third best. The United States server ping went up by 609.52%. Download decreased by -24.11% and upload by -25.33%. The United Kingdom server ping went up by 319.05%. Download decreased by -8.16% and upload by -16%. Tokyo server ping went up by 1647.62%. Download decreased by -5.67% and upload by -57.33%. ExpressVPN offers live chat and e-mail as channels of support. For more detailed questions, you can use their support e-mail [email protected] We got our answer pretty fast, within 1.5 hours. Stepping outside of the technical side for a moment, let’s have a look how people generally seem to trust ExpressVPN. Out of all VPNs ExpressVPN ranks as the 6th most searched VPN service. Not just great, but popular too. ExpressVPN doesn’t offer a no-payment trial. However, they offer a 30-day money-back guarantee trial, which makes sense if you are unsure about the choice. You can send them an e-mail saying that you would like to unsubscribe from the service and they will do it. No questions asked. The main drawback is the price. It is higher than the average, which could make it unattractive to many potential users. The main ones are Visa, MasterCard, American Express, Discover, JCB, and Maestro. You can also use your Diners Club, Delta, Amazon, Union Pay, Alipay, PaymentWall, WeChat Pay, Cashu, Mint, OK Pay services, or gift cards. Bitcoin is also available. ExpressVPN is the real deal. It is the most trusted service out there. Their policy page and terms of service are honest and well crafted. It works with almost every OS, even with routers, TVs, and gaming consoles. Desktop and mobile applications are clean and minimal. Their one and only drawback is slightly higher price. Yet, if you are best in the business, it’s fine to ask a bit more.. And at the end of the day, your privacy is totally worth it. Great article – one caveat though, I use a Mac and an iPhone – I dropped Strong when their service dropped off a cliff a month ago and have been trying to replace their service. I recently signed on with Pure VPN and it has been a terrible user experience. I was able to configure the service manually but have no use of the software or the App because neither of them will run. I have a new iphone 6 and a recently upgraded Mac and cannot get any of their software to run. I would really like to find a VPN that works on Mac and iOS and could use some advice. I use PIA on my media server at home, the only complaint I have is that when it’s connected, Plex is unable to automatically connect to my myPlex account. This prevents me and other people I share my Plex server with from being able to discover it. So basically I have to turn PIA off to be able to access my media server with any remote Plex app.